Only three in 10 peple in the UK have a Will, according to recent reports, but the consequences of not having one could mean that your estate is not passed on how you wish. Instead, your estate will be divided using the laws of intestacy. The laws of intestacy apply when someone dies without having made a valid Will. It is important to consider whether the intestacy rules would adequately benefit your loved ones when the inevitable happens. The once accepted “nuclear family” has evolved with a significant proportion of the population now cohabiting. Where a cohabitant dies without having made a valid Will, the survivor will not automatically receive a benefit from the deceased’s estate. The surviving cohabitee could find themselves in an unenviable position of having to make a claim against their partner’s estate for reasonable financial provision if they had been financially dependent on the deceased. There is no guarantee that any claim would be successful. Couples who are married or in civil partnerships often have children from a previous relationship and are keen to ensure those children are provided for should they die. They may be concerned to learn that their surviving spouse or civil partner will often take all or the vast majority of their estate outright under the laws of intestacy. This is only one example of where the intestacy provisions may fall short of the desired outcome. 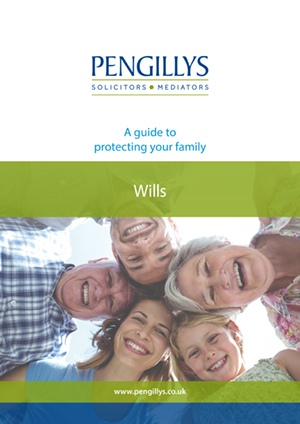 This is not exhaustive and reflects the importance of preparing a Will to ensure your loved ones are well provided for should the unfortunate happen. Please contact us to find out how we can help you. When someone dies, there are many things that will need to be done, ranging from arranging the funeral to ultimately distributing the estate. If the person made a Will, they would have appointed executors who are responsible for dealing with the estate and, if necessary, obtaining the grant of probate. If the person died without having made a Will there are a special set of rules governing the order of priority as to who may apply to be appointed as administrator to administer the estate. Executors and administrators are responsible for collecting in the person’s assets, paying any outstanding debts and administering the estate according to law (and the Will if there is one). 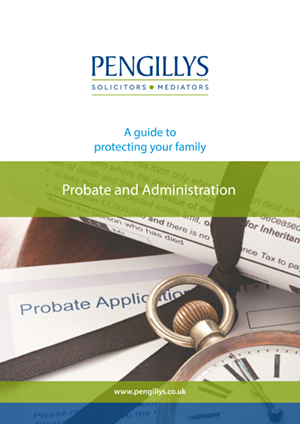 There is a raft of legislation that imposes duties on executors and administrators, and failure to comply with these obligations could lead to major problems and delays. For example, an executor / administrator can in some circumstances be personally liable for any debts of the person who has died. Protection can be sought by advertising for claims in a local newspaper and the London Gazette and provided no claims are received, the deceased’s estate can be safely distributed. There is a myriad of matters an executor / administrator will need to deal with during the administration of an estate and our experienced private client department will provide a professional service with expert, tailored advice to ensure matters proceed as swiftly and as stress free as possible. Please contact us to arrange an appointment with a member of our private client team.